Just found the missing track of the 1992.July19 Kershaw Session by Diblo Dibala & Matchatcha. Therefore today: Maintenant C'est Dansez Dansez!! Diblo Dibala, born in 1954 in Kisangani in the Congo (now Zaire), of the Baluba people, is one of the hottest African Soukous lead guitarists around. 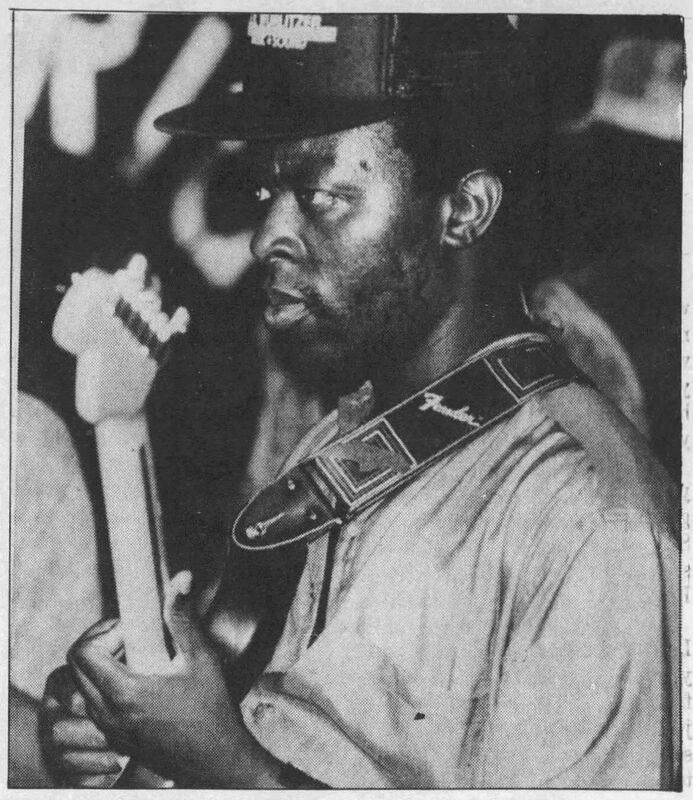 At the age of 6 Diblo moved to Kinshasa and by the age of 15 he was playing guitar in the great Franco's TPOK band. 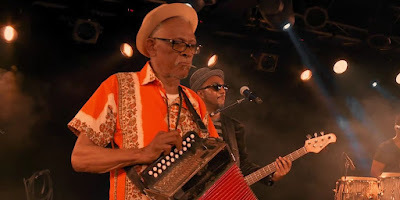 In Kinshasa, Diblo continued to master his lava-hot guitar chops with such top Zairean bands as Vox Africa, Orchestre Bella Mambo, and Bella Bella. John Peel and Andy Kershaw, on learning Diblo was making an appearance at Stern's African Records, raced there to get his autograph. He repaid the compliment by giving name checks to both of them on 'Matchatcha Wetu' (included in the session). For more info about Diblo Dibala head over to the Bio by Gary Stewart at rumbaontheriver (incl.selected disco and biblio). 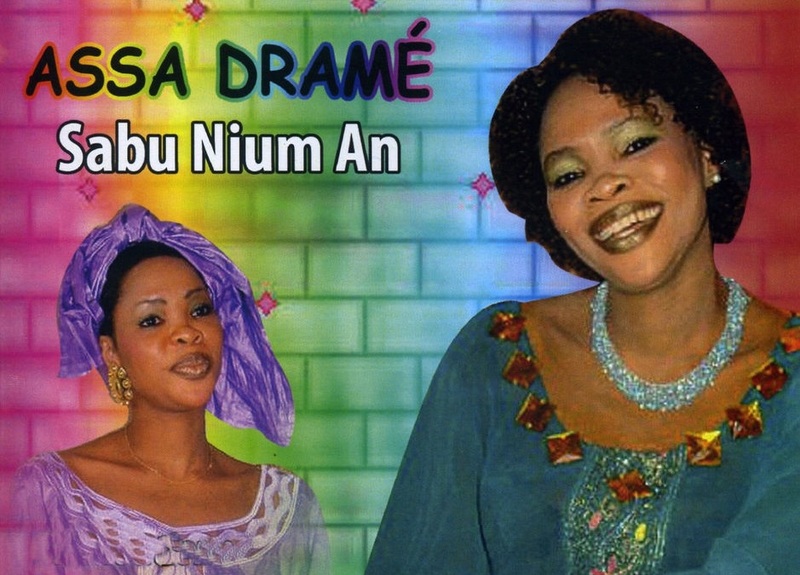 "il faut me pardonner - you must forgive me"
Assa Drame, born in 1976, is a daughter of the famous singer Tata Bambo Kouyate from Mali. In 1992, at the age of 16, she was introduced as singer by her mother with the K7 "Tata Bambo presente sa Fille Assa Drame - Hommage aux Griots". In 2004, at the age of 28, she made her first visit to the UK, during which she did this lovely session for Andy Kershaw. There are several videoclips from some of her songs up on youtube [from 2007 till 2013]. A connection to the last post from last year, in the video playlist two live recordings from these four and now two radio sessions. 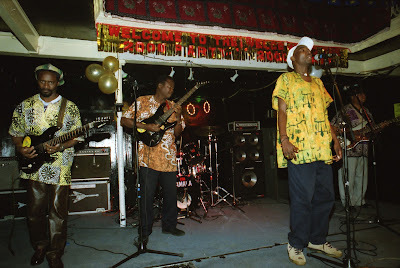 In 1977 four musicians from Zimbabwe, Alex Chipaika-Phiri (guitar), Marshal Munhumumwe (drums, vocals and a nephew of Thomas Mapfumo), Edward Matigasi-Ulaya (guitar) and Never Mutare (bass) formed a band and, though not related at all, called themselves The Four Brothers for their first recording. That name was meant to be temporary, but as that first recording, "Mandega", made such an impact, they decided to keep it. In the following years they made many recordings, many became big hits in Zimbabwe, especially the after independence in 1980. In 1986 the band was approached by Stern's Africa from London to tour Europe, contracts were signed and between 1987 and 1990 the Four Brothers had performed in over ten countries in Europe and even in Canada. In the UK they became favourites of BBC radio DJs Andy Kershaw and John Peel, who started playing their music regularly and recorded several sessions with them. John Peel and his wife had enjoyed the Four Brothers when visiting Zimbabwe, Peel himself wished that they could play at his birthday party. So his wife secretly organised that to happen on his 50th birthday in 1989 in the garden behind his own house. In the early 1990s ill fate hit the Brothers, first Chipaika-Phiri and Matigasi-Ulaya died and later Munhumumwe, following a car crash, suffered a stroke and was unable to continue to perform with the band. 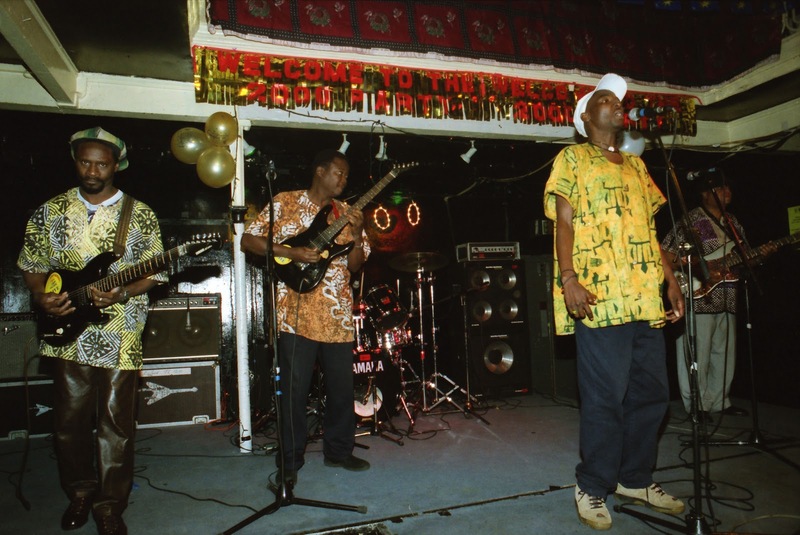 Replacements were found in Frank Sibanda, Robrum Chauraya and Albert Ruwizhi, so Never Mutare, as the only original bandmamber, could continue to play and succesfully going on international tours as The Four Brothers. Finally in 2001 Munhumumwe died at the age of 49 and the following year bass guitarist Never Mutare did his very last breath. In 2016, Marshall Munhumumwe Jr., the son of the founder, decided to join the new Four Brothers/Makombe Brothers band as their manager, to maintain his father's legacy. However, this new band has struggled to gain traction in the music industry due to scepticism from promoters and the public. This is part of the brilliant Sahara series made by Bram Vermeulen for VPRO, in which he travelled from the west coast of Mauretania through Mali, Niger all the way to the east coast of Sudan. Chad wasn't visited and flown over, because it was too dangerous there. Though there is very little local music in the series, like Khaira Arby, it's HIGHLY recommended by us here from Pays de Mangues. The series is made for Dutch television, but most of the language spoken is French and English, only sometimes some Dutch or local language, so pretty easy to follow for non-Dutch speakers. LEGENDS OF FUNANA RETURN - Masters of the once forbidden music of Cabo Verde. When iconic singer Chando Graciosa invited master accordionist Bitori and bass player Danilo Tavares to record a Funana album in Rotterdam in the early '90s, they couldn't have imagined the impact it would have still in the 21st century. 20 Years after the 1997 release of that innovating album 'Bitori nha Bibinha', they were reunited: Prompted by the re-release (2016.Sep) of that record on renowned label Analog Africa, founder Samy Ben Redjeb reached out to the old crew to create a live band, partenring with Kokako Music to take on management and bookings. Complimented by the veteran Toy Paris on drums and multi instrumentalist Miroca Paris on percussion (12 years with Cesaria Evora), the band has already wowed crowds, made them dance and celebrate life. And now let's go to some other parts on other globe, like the two ladies did cq.had to do also. 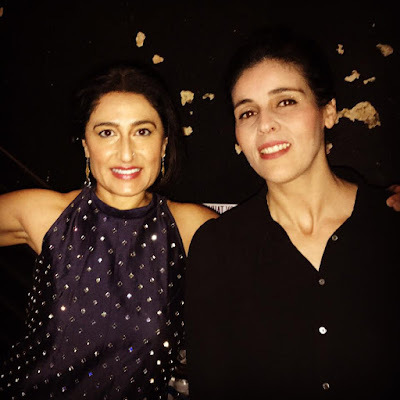 Kiran Ahluwalia born in India, moved first to Canada and now living in New York; Souad Massi born in Algeria, after death threats (because of playing in the political rock band Atakor) left the country and settled in Paris, France. An eclectic celebration of love and diversity through music and dance. Throughout the ages people have struggled to extend the love and respect offered to those familiar to us to others who are different and unknown - to minorities, immigrants, refugees and other vulnerable members of society. Artists, musicians, and religious and civil leaders alike have all advocated variations of the theme "Love your neighbor" or "Welcome The Stranger." This call to acknowledge the common humanity of all people - and by extension their individual human rights - is a founding principle of modern society. Kiran Ahluwalia’s LOVEfest combines the talents of sacred and secular artists from both Muslim and Sikh traditions (two communities currently experiencing an alarming rise in hate crimes). Featuring the passionate vocals of Kiran Ahluwalia (from India), inspired Arabic songwriting of Souad Massi (Algeria), combined with traditional Sikh temple singers (here for the first time on the concert stage) and the colorful whirling of Egyptian Tanoura Sufi dancers, LOVEfest illuminates a diverse world of cultural artistic expression; offering performers and audiences alike an opportunity to "Welcome The Stranger." i know this session is listenable at KEXP and upped on it's youtube channel, but I like this so much that it deserves a separate posting here in Mango Land! So far they only played together for about a month in the US, I hope that their LOVEfest will go all over the world, and especially those places where it is mostly needed! Habib Koite was born in 1958 in Thiès, a Senegalese town situated on the railway line* connecting Dakar to Bamako, where his father worked on the construction of the tracks. Six months after his birth, the Koite family returned to the regional capital of west Mali, Kayes, and then to Bamako. Habib comes from a noble line of Khassonke griots, traditional troubadors who provide wit, wisdom and musical entertainment at social gatherings and special events. Habib grew up surrounded by seventeen brothers and sisters, and developed his unique guitar style accompanying his griot mother. He inherited his passion for music from his paternal grandfather who played the kamele n'goni. On the insistence of his uncle, who recognized Habib's musical talent, he enrolled at the National Institute of Arts (INA) in Bamako, Mali. In 1978, after only six months, he was made conductor of INA Star, the school's prestigious band. He studied music for four years, graduating in 1982. During his studies, Habib had the opportunity to perform and play with a series of recognized Malian artists, including balafon master Keletigui Diabate and Toumani Diabate. Keletigui Diabate was, till his death in 2012, a fulltime member of Habib's band Bamada. Habib takes some unique approaches to playing the guitar. He tunes his instrument to the pentatonic scale and plays on open strings as one would on a kamale n'goni. At other times Habib plays music that sounds closer to the blues or flamenco, two styles he studied under Khalilou Traore a veteran of the legendary Afro-Cuban band Maravillas du Mali. Unlike the griots, his singing style is restrained and intimate with varying cadenced rhythms and melodies. Mali has rich and diverse musical traditions, with many regional variations and styles particular to local cultures. Habib is unique in bringing together different styles, creating a new pan-Malian approach The predominant style played by Habib is based on the danssa, a popular rhythm from his native city of Keyes. He calls his version danssa doso, a Bambara term he coined that combines the name of the popular rhythm with the word for hunter's music (doso), one of Mali's most powerful and ancient musical traditions. 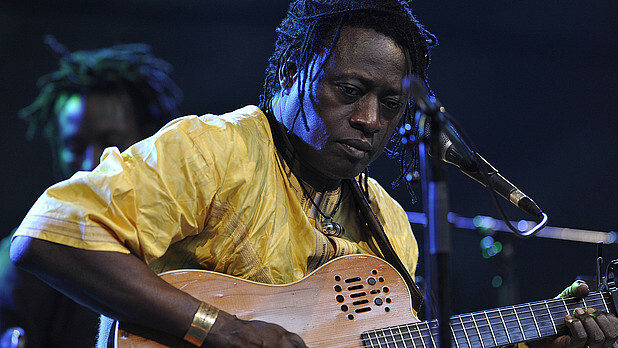 In 1988, Habib formed his own group, Bamada (nickname for Bamako residents, roughly meaning "in the mouth of the crocodile"), with young Malian musicians who had been friends since childhood. In 1991, Habib won first prize at the Voxpole Festival in Perpignan, France, which earned him enough money to finance the production of two songs. One of those tracks, "Cigarette A Bana (The Cigarette is Finished)" was a hit throughout West Africa. After the release of another successful single, "Nanale (The Swallow),” Habib received the prestigious Radio France International (RFI) Discoveries prize. This award made it possible for the group to undertake their first tour outside of Africa during the summer of 1994. In 1995 January Habib met Michel De Bock of Contre-Jour, together they recorded Habib's first album Muso Ko, which became one of the year's most popular in the European World Music Charts. From that point forward, Habib became a fixture on the European festival circuit and began to spread his infectious music and high energy shows around the world. *used that train going from Mali to Senegal in the early 1990s, great memories about that travel!! Eat them RAW!! Mangez-les CRUS!! This blog is made out of love for the music here presented in softcopy, if you like something, best support the music and artists by trying to buy a hardcopy yourself and visiting their concerts. On this blog will be presented: original K7s with music from all over the world, radio broadcasts of live concerts (from K7 recordings and/or radio streams), all sorts of other musical items. Note: selections based on personal manguetic taste. Barry Allama Boy "Medina Larabi"